As I'm sure you know by now, I'm fairly candid. So, fair warning. I feel gross because I have cramps and I'm tired and just a little moody. I have all three of these because I'm on my period. 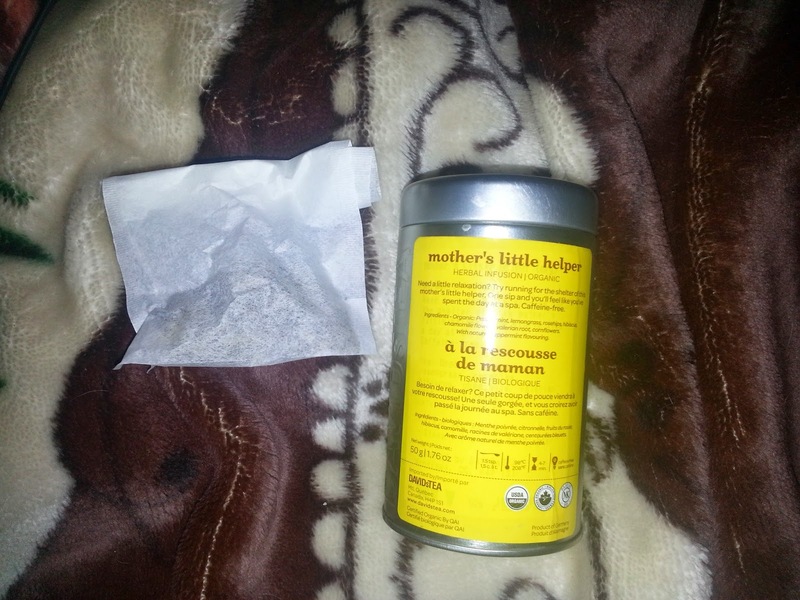 Mother's Little Helper is a strange tea color wise when it brews, and beautiful BEFORE you even steep it. Seriously though, it's so pretty. It basically always tastes the same, but some steeps it's more brown, others it's more pink, and other's it's more yellow. Each scoop is a little different percentage of hibiscus wise, and it's really the hibiscus that gives it it's bright pink color. This tea is also VERY versatile. Too hot out of a hot mug of tea? No problem. Make in concentrate, add cold water and store in a jug in the fridge. It's just as delicious and refreshing and relaxing and sedating as when it's hot! Did I forget to mention the fact this tea is basically a sedative? It has valerian root in it. Valerian is a natural sedative. For some people, it basically knocks them out after they drink it, for others like myself, we just get relaxed enough to sleep, but it keeps us asleep throughout the entire night. I start with 5-6 tbsp of loose leaf and steep it with 4 cups boiling water, or near boiling. This tea steeps well at basically any temperature. And then I steep it for 10 minutes, sometimes more. Then I add about 3 cups cold water and put it all in a jug in the fridge. Perfect for summer! Then, I just had a cup or two before bed. I start with two heaping scoops of tea using David's Perfect Spoon, then steep it until the pot is finished being drank, or for at least 5 minutes. I use boiling or near boiling water. 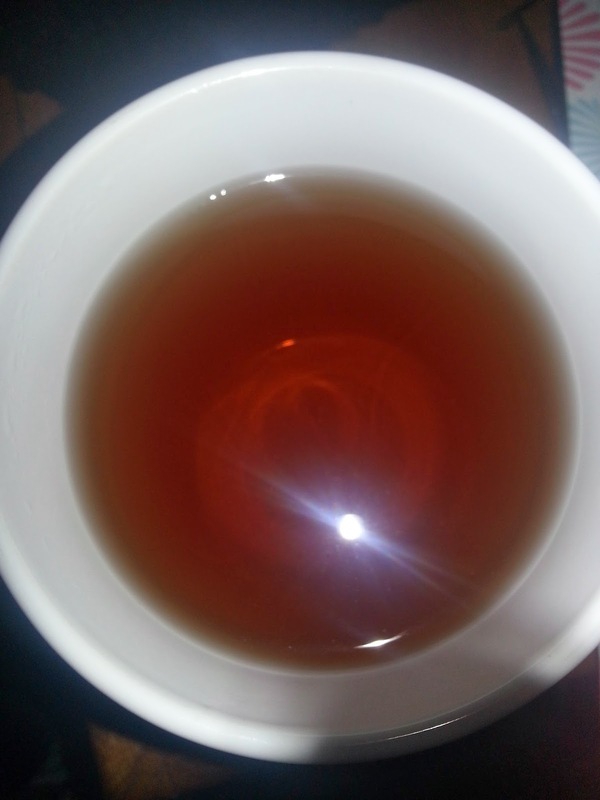 Honestly both the 'black' and 'herbal' setting on my kettle work perfectly with this tea. Honestly, this tea is just all around yummy. It and Creme Brulee are what started my tea addiction, so it will always have a special spot in my soul. It's fresh and sweet. Minty and just a little bit fruity. 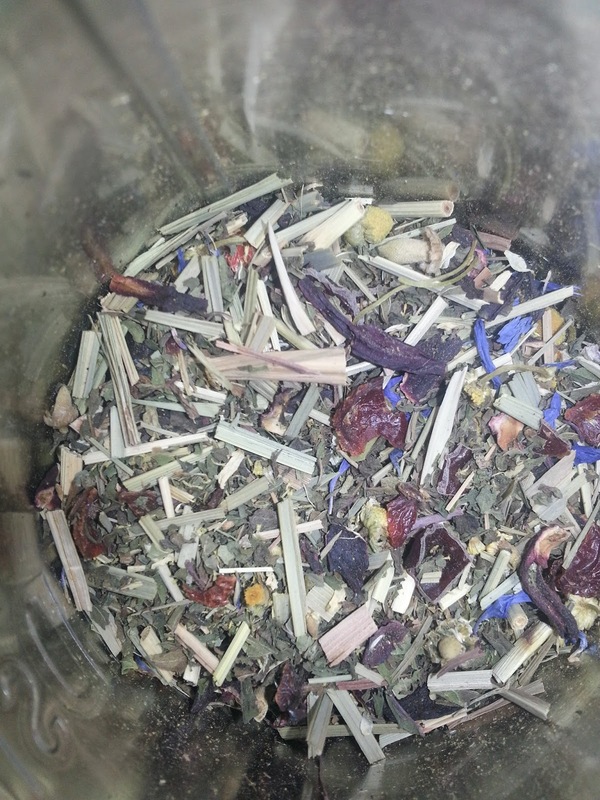 It's just so good and good for you that I literally recommend this tea to EVERYONE. I've gone through over 200g of this tea (basically by myself) since I first started buying it. Buy it. Drink it. Sleep. LONG AND RAMBLING POST IS FINALLY DONE. PS. I premade little bags of this so I could just throw it in a pot before bed and not have to worry about any clean up. That's what's shown in the first picture.